Please visit: iBards: Home> SONG> Emily Holbert Kellam for information, sound clips, and more! 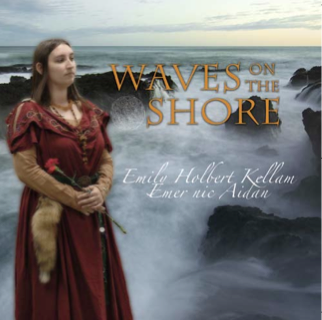 To purchase “Waves on the Shore” CDs, please email emernicaidan@gmail.com with the title “CD Order”. Simply let me know how many copies you wish and a PayPal invoice will be sent promptly! Many thanks, EH. CDs are always available directly through Emily in person! Come up and say hi at any event, bardic circle, feast, or pub! Please visit the the respective Kingdom calendars/event pages for specific information on these events. See www.SCA.org for more information. – CDs are sometimes available at various SCA events through Master Efenwalt Whystle’s merchant store Camelot Treasures.